I just wanted to say Happy Holidays to all my veiwers and anyone who stopped by my blog this year, I have met alot of new people and this has been great fun, I'm hopping to do some new and exciting things in the comming year. Happy Holidays to my family and all my new friends and their families and may the joy of the season fill your home and your hearts. My Christmas Decorations, the house is all decorated and the baking is all done, the shopping is finished and wrapped and the cards all made addressed and mailed out, now I have almost a week to enjoy it all before the big day, wow I'm ahead of the game this year. for the the layers, I used vintage photo to stamp the greeting and shade the edges, pointsettas on top were punched with a misc. flower punch and accented with my handcolored glass glitter. I'm really happy with how this project turned out, It the perfect accent for my coffee table. These are the cards I made this year for my husband to give out at work, the blue logo on the front it the logo for his company.Quick and easy because I had to make 30 of them. 1. Logo stamp made on my pazzles inspiration cutter with pazzles stamp kit then stamped and embossed with stampendous sapphire embossing powder. 2. Card base made out of American crafts white & dry embossed with cuttelbugs snowflakes folder. 3. Sheer ribbon from Michaels. 4. Blue frame punched with Marvey scalloped and Marvey square punches. Luminary cut out of DCWV the handmade christmas stack on my pazzles inspiration and lined with velum stamped with white staz-on ink. Ribbon and bells from Michaels and flameless tea candle. 3.pay it forward to 8 bloggers that you have recently discovered. 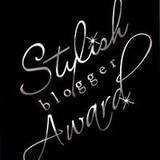 4.Contact bloggers and tell them about their award! 8 blogs I award this award to.. Happy Thanksgiving and may your day be filled with joy and love from good friends and family. Heres another sneek peek of my banner..if your thinking oooh doublesided you would be right, it should be done and up tomorrow. I was so Inspired this weekend by the banner blog hope that I have been working on a banner all week so as soon as it is finished I will post it, in the meantime here is a sneek peek. 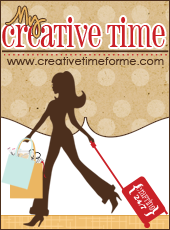 I am so excited and honored to be asked to be a guest designer for Momo's blog. This week Tuesdays challenge is embossing which for me was a piece of cake as I emboss everything in one way or another. My first project is heat embossing and a card for Operation Write Home which is close to my heart as I have two children who are Marines (Semper Fi). The cardstock is American Crafts, the madalian background was done with Rangers Alcohol inks and then stamped with versamark and Hero Arts stamp then heat embossed with Stampendous black embossing powder. The sentament is from stampin ups Curly Cute set with versamark and white enbossing powder. Also used misc. ribbon from Micheals and gold decocolor paint marker by Marvy for stiching marks, the inside was stamped and embossed also. My second project is dry embossing, I dont remember the name of the paper collection but I do remember I loved it and bought alot of it. I use Martha Stewart border punch and dollar stamps and ribbon out of the dollar bin from Michaels. The embossing was done with an embossing folder from QuicKutz and my trusty Bigkick from Sizzix, cardstock American Crafts. I hope you enjoy my projects and again thank you Momo for inviting me to take part in your challenge you are truly inspiring. Here ar a few of the cards I have made for Operation Write Home. Today I packaged up 59 cards for Operation Write Home, some were made by me and some were made by the wonderful ladies at the Timber Point school scrapbook fundraiser (thank you ladies). It really does my heart good to know I had some small part in making a soldiers time away from home and family a little easier, so today I ask that you give a soldier the chance to write home to their family on a lovley handmade card (no glitter please) mail me the cards and I will get them to where they need to be. You can leave me a comment here with your email and I will give you my address. The deadline for holidays cards is Oct 30 and I dont think we can make that but Valentines Day is comming and many husbands and wives are apart at this time, birthday cards are always good, themes like missing you, thinking of you, I love you and just general cards for notes are always good. Remember no glitter and the cards should be standard A2 size thats what works the best. Photo # 1 & 2= door plain wreath a friend was throwing away and all the stuff on it is from the dollar store, total cost maybe 8 dollars. Only goes to show one crafters trash is another crafters tresure. Picture 3= is an idea I saw on someones blog just cant remember whos, I watch so many they start to run together and then again at micheals. Pumpkin on sale half price and all the flowers on sale for 1 dollar each again total cost maybe 10 bucks. Picture 4= creamic cornacopias i inheareted when mom passed and i painted, stuff inside from the dollar store, my cost 5 dollars. Picture 5= garage sale find bowl for 50 cents again dollar store stuff inside (I love the dollar store can you tell) 3 or 4 dollars, raphia garagesale find 1 dollar. Picture 6= cake plate that came with another candle (the most expensive thing in this post) candle from a friend who sells party light she had like 5 of them and again more leaves from (wait for it) the dollar store. Yes it's world card making day... so make a card for someone you love or Make a card for the troops, send it to me I'll get it to them through Operation Write Home (remember no glitter please). These Cards are for the troops to send home to their families so make them Generic cards or special day specific (ie.. Christmas, Birthday, miss you, thinking of you or other holidays).